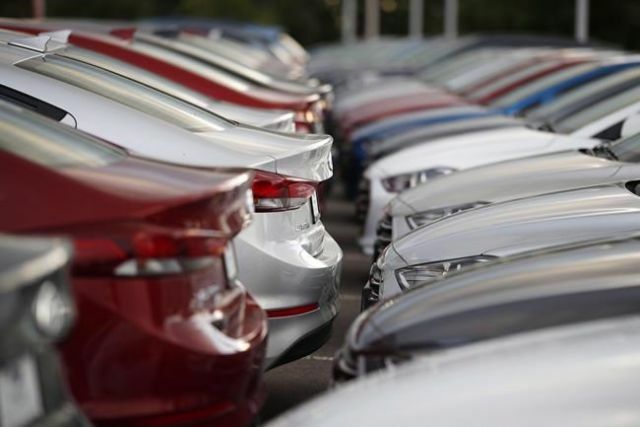 TORONTO — DesRosiers Automotive Consultants Inc. says auto sales dropped 7.3 per cent in January compared to a year earlier as a downward Canadian sales trend continued. The automotive consultant says light vehicle sales for January came in at 108,774 units, compared with 117,281 for the first month of 2018. It says the total, which represented an 11th month of year-over-year sales declines, was the fourth-highest January on record and in line with 2016 sales figures. Passenger car sales continued a pronounced decline with a 13.7 per cent year-over-year drop, while light truck sales, which include pickup trucks, minivans, and SUVs, had a 4.9 per cent decline from last year. Ford Motor Co. was the top seller with 16,154 units after it saw only a 1.9 per cent decline from last year, while Fiat Chrysler Automobiles slipped from first place to third after a 20.1 per cent drop compared with January 2017. Toyota, in fourth place, saw sales climb 14.4 per cent. General Motors, which has been facing criticism from Unifor for its plans to shut the Oshawa, Ont. assembly plant, saw a 14.8 per cent decline from last year to fall in second place.